On April 11th there is a Reception for the opening of my first Quilt Show at Faustina Gallery in Lewisburg, PA. One of the perks of being the “feat ured artist” for the Lewisburg Festival of the Arts for 2015 is the opportunity to have a gallery show during the month of the festival. This is a new experience for me and an exciting one. I had a one month show in the lobby of our local public library last winter during which I learned about professional hanging systems and wall arrangement for optimal viewing. Hanging quilts is a bit of a challenge as they don’t have a picture frame wire which is how hanging systems work. For the library show, after much trial and error, I ended up using about 1″ safety pins on the upper corners of the sleeve on the back (see photos) which hung on the hanging system hooks. It isn’t ideal but it worked. 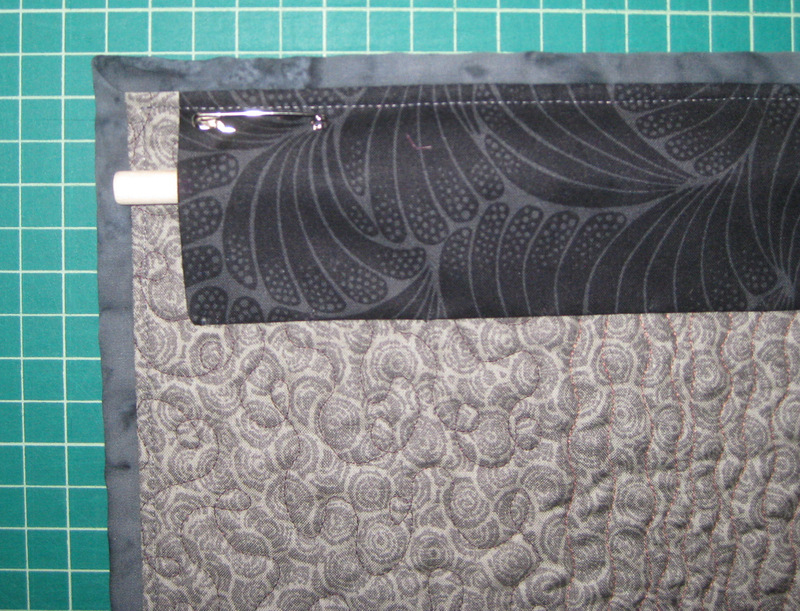 I leave the dowels in the upper pockets for horizontal stability. 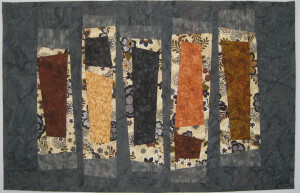 Friday, April 10th I will help the gallery owner hang about 17 art quilts. I am a hopeless and excessive planner for things like this so I’ve been in and out of the gallery a few times, measuring, thinking, sketching and planning. Here’s hoping hanging takes about 90 minutes and not several hours!! 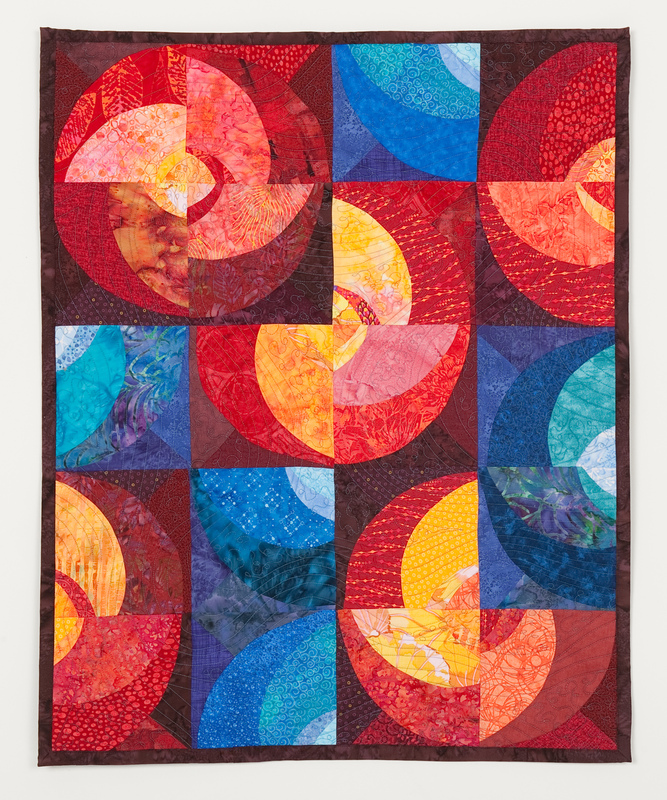 These 17 quilts will not be available for sale on-line (at my Etsy Shop – Art Quilts By Sharon) during the dates of the show but they will be available for sale at the Gallery which is on 229 Market Street in Lewisburg, PA. If you live in central Pennsylvania, please come and enjoy the Reception at Faustina Gallery on April 11th from 1-4pm. If you can’t attend the reception please visit the Gallery from April 11 – May 2.